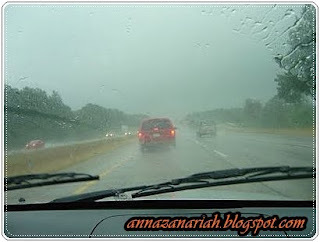 SAFE-DRIVING TIPS WHEN IT IS RAINING! We are not sure why it is so effective; just try this method when it rains heavily. This method was told by a Police friend who had experienced and confirmed it. It is useful...even driving at night. 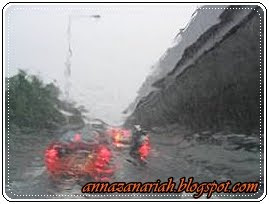 of the wipers during heavy downpour, yet the visibility in front of the windshield is still bad...... In the event you face such a situation, just put on your SUN GLASSES (any model will do), and miracle! All of a sudden, your visibility in front of your windshield is perfectly clear, as if there is no rain. Make sure you always have a pair of SUN GLASSES in your car. You are not only helping yourself to drive safely with good vision, but also might save your friend's life by giving him this idea.. Try it yourself and share it with your friends!??? Amazing, you still see the drops on the windshield, but not the sheet of rain falling.? You can see where the rain bounces off the road. It works to eliminate the "blindness" from passing cars. Or the "kickup" if you are following a car in the rain. They ought to teach this little tip in driver's training. It really does work. This is a good warning. I wonder how many people knew about this. 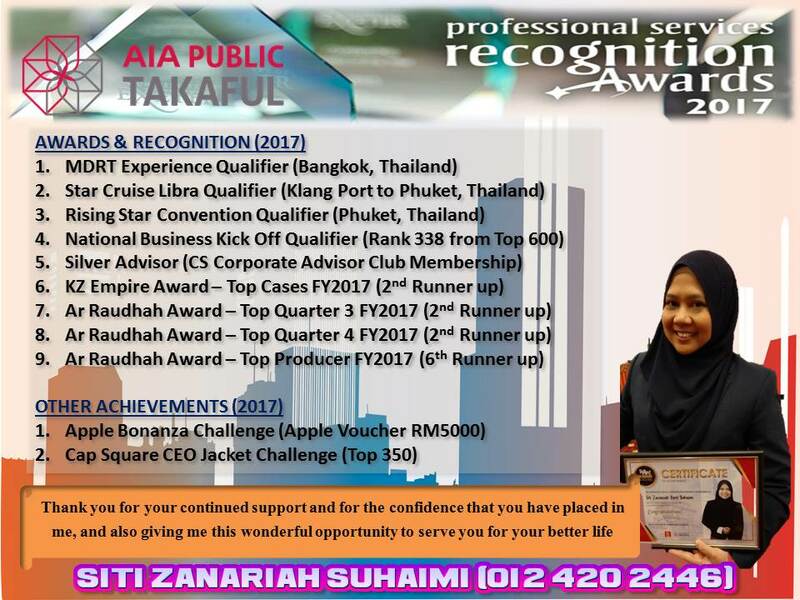 anna pun belum try lagi.. pakai spek itam time cuaca panas je.. pasni boleh try la.. heheh..